Our company is located in Oostkamp Belgium, at the heart of Europe. Based on a vast experience in avionics and wave technology we offer high-tech electronic solutions for the aviation industry. With a track record of over 50 years in the HF electronics industry we provide unique one-stop-shop services, based on quality, reliability and manufacturing excellence. Our entire production process is based on the principles of Lean Manufacturing. 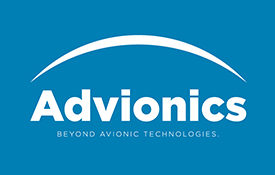 We are proud to be leaders in the development, manufacturing and installation of advanced avionic systems.